Entry fee £26 for individual events. £12 per team for team patterns. 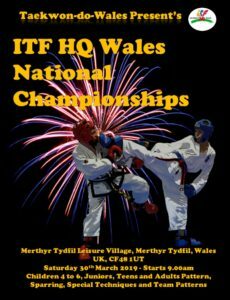 How to enter Please return entry form & fees by Saturday 9th March, or enter yourself online at www.kihapp.com/tournaments/4876-itf-hq-wales-national-championships by Sunday 24th March.